On Friday, gold had another rough day as a stronger US dollar and a rise on stock markets already around record highs diminish appetite for the hard asset. Gold futures in New York for delivery in August, the most active contract, fell to a low of $1,319.40 in early trade before regaining some lost ground at the close. Two weeks ago gold closed at a two-year high of $1,368. Year to date the metal remains higher by 24% or some $270 an ounce, the best annual performance in decades. 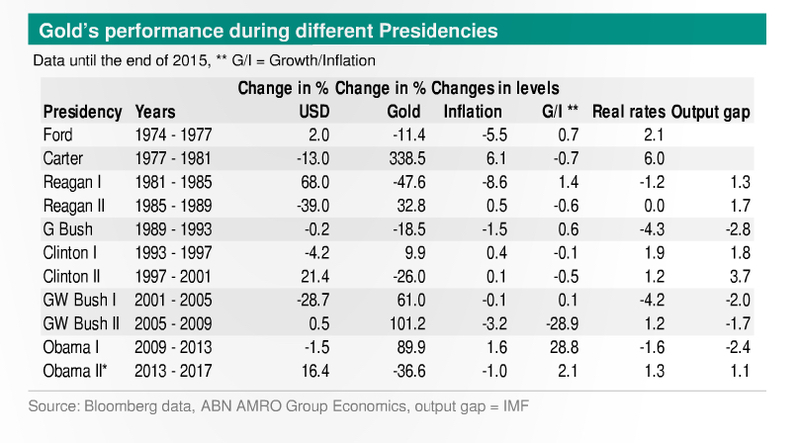 Georgette Boele of ABN Amro in a new research note charts gold movements during US presidencies going back to Gerald Ford 1974–1977 term to ascertain the possible impact on the price during a Hillary Clinton or Donal Trump presidency. Boele says during the 1980s and 1990s, gold was first and foremost regarded as a hedge against inflation and during the Presidencies of Ford, Carter, Reagan I, Reagan II, George Bush and Clinton I, the consumer price index and gold prices moved in the same direction. During Bill Clinton's second term however as inflation fears eased other factors began to influence the gold price to a greater extent according to the report. Several factors including a fiscal surplus in the US, a rise in US yields and a stronger dollar resulted in a 26% fall in the price of gold during Clinton II. 3. The longer-term US dollar has turned negative. These are all supportive factors for gold prices. However, despite uncertainty on financial markets we don’t expect a new major crisis in the making. As a result, safe haven flows towards gold will likely be muted. All-in-all, gold prices will likely rise a moderate pace towards USD 1,650 per ounce over the coming years. 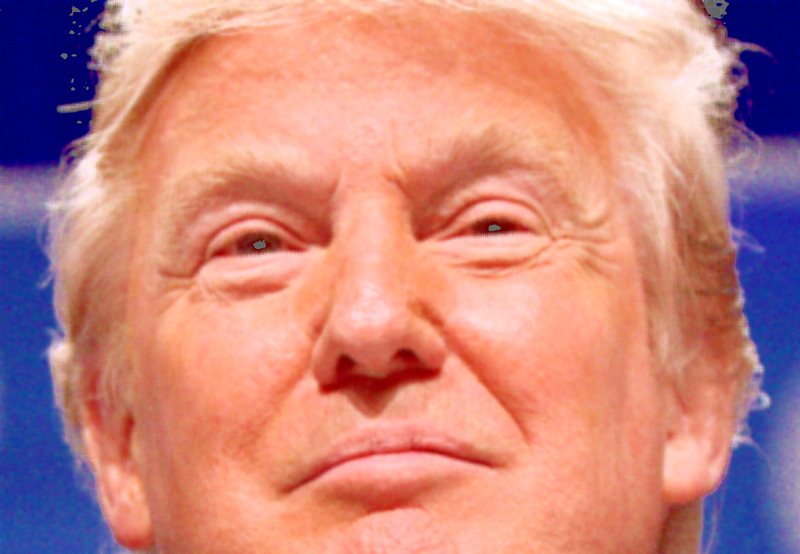 If Trump were to become President (low probability in our view), gold prices will likely perform well, because we expect that his policies will be inward looking and will weaken the fundamentals of the US economy. In addition, his rhetoric and possibly policy actions could create domestic and international uncertainty at beast, and upheaval at worst. Our US economist expects that economic growth would be weaker. This will likely result in a more substantial rise in gold prices towards USD 1,850 per ounce over the coming years. A big risk factor to this rosy outlook is if the Federal Reserve raises rates at a faster than expected rate due to strong economic growth, but the Dutch bank says that's unlikely. ABN Amro forecasts a gold price of $1,350 an ounce by the end of the year, rising to $1,450 an ounce at the end of 2017. That's substantially higher than its previous forecasts which called for triple digits next year.